One of the foremost priorities of the American Mental Health Foundation is to develop effective, affordable forms of psychotherapy that will make quality treatment accessible to a far greater number of people. The focus on the quality of psychotherapeutic approaches and pertinent recommendations are presented in the publications of the Foundation. The improvements proposed pertain to both individual and group psychotherapy. In this chapter we are dealing with a specific form of psychodynamic, interactive group psychotherapy developed at the Foundation over the course of 45 years. It offers considerably more treatment time to the patient and, owing to its special features, is considerably more intensive than the usual forms of group psychotherapy. The treatment form is built on the format of psychoanalytic groups that Alexander Wolf originated. He describes the fundamentals of his method in the preceding chapter. The present chapter reports on the intensive, extended group psychotherapy method developed by Stefan de Schill at the Foundation. We hope that the material presented in this chapter will not only allow therapists to become aware of this treatment form but also motivate them to use it. Because we feel that the material is of such potential benefit to patients, we have taken the unusual step of publishing this chapter on group therapy in both this book and the companion volume, thus making it available to the greatest number of readers. Even though mental health professionals like to portray themselves as ethical defenders of the public interest, their noble oratory is seldom translated into action. Rather, a complacency, a lack of responsibility and a tolerance for incompetence and questionable ethics are a frequent attitude among mental health professionals—as long as their own self-interest is not injured. They shun decisive action that could answer the two most fundamental needs in psychotherapy: to ensure quality and adequate treatment time for patient care. In spite of the concerns voiced, one encounters mental health professionals, such as Toksoz B. Karasu, who vociferously advocate shortening the treatment sessions, notwithstanding knowledge that the treatment time, in all too many cases, not only is of sub-standard quality but also has become shorter and shorter. As we have pointed out, the promoters of ‘easy to learn’ and ‘easy to apply’ treatment, such as Karasu, Yalom, and Grotjahn (see Part III in our companion volume, Crucial Choices—Crucial Changes: The Resurrection of Psychotherapy), find a great number of followers among professionals. The victims of such self-promotion and lack of interest in the public welfare are the patients and the students who truly seek to acquire knowledge rather than merely to enter a reasonably well-paying profession. Our patients’ great and compelling need for sufficient time and attention is seldom fulfilled. One would have hoped that some psychotherapists, despite the impediment of practical considerations, would have tried to be more generous with their treatment time. Sadly, we were unable to find concrete evidence of such efforts. We pause here to relate a true story that may help us regain the human perspective that should imbue our work. The story was told to us by a friend. A number of years ago, a girl in her early 20s and of modest circumstances arrived in New York from France. Coming from a desolate region of abandoned coal mines and rampant unemployment, the girl, whose name was Nicole, hoped to improve her knowledge of English and find some employment to pay for the bare necessities. Her mother, at great sacrifice, sent her a tiny monthly allowance to help her over the initial period. To find employment, Nicole left her name with several French organizations and schools. Shortly thereafter she received a call requesting her presence at the home of a wealthy woman on the upper East Side. She was offered a job teaching French to the woman’s two daughters, 8 and 12 years old, once a week for an hour. The remuneration per session was to be $3.00, which included the expense of transportation. Nicole, glad to have found a position, accepted immediately. The two children seemed to enjoy the sessions immensely. Nicole, who had a lovely voice, would sing French songs and the children would join in. No wonder the children did not want her to leave at the end of the hour, and Nicole always obliged. Soon the meetings were lasting three hours or more. The mother, seldom home, was quite happy with the work and asked Nicole to come twice a week. She also invited the children of her friends to join the sessions, and within a short time six to eight children were usually present. The other mothers were delighted with Nicole’s devotion and fine work; they congratulated and thanked her profusely. That idyll continued for close to six months. Then, one day in June, at the end of a session, the mother advised Nicole that this would be the last time and she need not return. The family would be leaving in a few days for their summer home. Nicole went to a nearby park, sat down on a bench, and cried uncontrollably. That is where our friend noticed her. Only after much time and with considerable difficulty did our friend succeed in calming the distraught girl. Understandably, our friend then attempted to find out what the cause of her great sorrow was and learned of the lessons given to the children and of the other circumstances of Nicole’s life. Our responsibility as health professionals is to look out for the welfare of the patients. We cannot hope to match the generosity of the girl who gave so freely of her time. There are stark realities that impose limitations on the goodwill of psychotherapists. Of course, psychotherapists should make a decent living. But we find too many instances where consideration of the patient’s needs is grossly lacking. Regarding the matter of professional fees and the treatment value our patients receive, let us restrict ourselves to the question of the length of procedures described in the chapter ‘Working toward Clinical Expertise’ in our companion volume—the cost of two or more private sessions a week over a prolonged period of time was beyond the means of most people. For that reason, we needed to focus on group psychotherapy and to develop major modifications to achieve the desired goal. The importance of the continued development of the form of group psychotherapy resulting from the efforts of the Foundation becomes even more obvious as we become more aware of the extent of emotional illness. The argument that more patients could be treated in a group setting is certainly sound. However, we have nowhere near enough group psychotherapists capable of adequately administering such a sophisticated treatment to the many who could profit from it. There is a widespread tendency, uninformed and arrogant, among individual analysts and therapists to consider group therapy a sort of shabby relative, tolerated but not respected. Nothing could be less justified. To be an expert group psychotherapist, a professional must not only be an expert individual analyst and therapist but also have substantial additional talent and skills. Those who have a broad understanding of matters psychotherapeutic are aware that group psychotherapy has made a unique contribution by deepening, widening and, in some areas, changing our understanding of psychological mechanisms and therapeutic processes, thereby allowing the formulation of better hypotheses specific to each individual. Through that individual focus the therapist avoids simplistic generalizing dogma and cliches and his expertise and the patient’s emotional health may be significantly improved. I believe we have the right to demand that those who wax so eloquent about the theories that should govern psychotherapy should have a solid basic knowledge themselves and do everything possible to enrich that knowledge, particularly where vital areas are concerned. There is much evidence, however, that many do not. As stated, many writers, staying safely in the realm of theoretical speculation, do not betray evidence of actual clinical expertise. For those theorists to turn out book after book about therapy, they should certainly have a measure of expertise in its basics. Again, let us choose a simple example: transference. I assert categorically that individual therapy is insufficient for a full understanding of transference in all its dimensions. Analytic group therapy has been around for many decades. There is a vast literature concerning the multiple transferences in such groups and the crystallization of the transferences that allows for far more understanding than individual therapy, where all transferences are projected on one analyst. For instance, claims by the theorizers notwithstanding, an individual male analyst cannot evoke sexual female transferences to the same degree as can an attractive woman in the group. No therapist has the complete understanding of transference phenomena unless he has spent considerable time in a group as one of its members and then conducted psychodynamic groups himself. One would imagine that the theorists who ooze therapeutic pontification would, in their eagerness to help mankind, rush to acquire such indispensable know-how so that they could better understand transference and thus psychotherapy. Alas, to the best of my knowledge, none of them wishes to be thus inconvenienced. That, of course, does not stop them from continuing to write further ‘fundamental treatises’. Shrewd avoidance of clinical subjects that could become tell-tale signs of ignorance, and a measure of writing ability, can successfully mask the lack of clinical knowledge. We, however, maintain that one must fully understand certain fundamentals in psychoanalysis and psychotherapy before attempting even the most rudimentary theorizing. And transference is one of those fundamentals! As Stoller and Leites masterfully point out in our companion volume, such ethical restraint seems non-existent in our field, where freewheeling fantasy, readily accepted and acclaimed as ‘scientific’ profundity, substitutes for clinical expertise. There are other reasons that no psychotherapist—no matter how gifted and accomplished—can rightfully claim full professional competence until he has studied and mastered the craft of group psychotherapy. He will not fully comprehend any of his patients until he has seen them interact as members of a therapy group, for it is in that setting that the therapist will get important additional clues that will lead him to a broader view of his patients’ behavior and personality—some of which will be surprising. At the beginning of this chapter we mentioned that we need to divide the topic we are addressing into two areas, the first being the framework within which effective group therapy takes place. Before we even touch on the components necessary for effective psychodynamic group psychotherapy we must address the factor of treatment time. It is of crucial importance from both a clinical and an ethical point of view: No cheap rationalizations like Karasu’s nor grandiose ravings like Lacan’s should be permitted to obscure the basic needs of the patient. On the basis of decades of experience, I am convinced of the value of group psychotherapy for many people who fall into a variety of clinical categories. However, it is valuable only if the groups are conducted by an expert therapist. Also, we must be very specific: what kind of group psychotherapy? Basically, we have to distinguish between analytic group psychotherapists, who focus on the individual, and group processors, who deal with the group as a whole. The reader will find the necessary details in the two chapters by Alexander Wolf and by Denise LaHullier and me. Unfortunately, most of the practitioners using those two modalities give their groups merely an hour and a half a week. It would be desirable for each patient in individual treatment to receive at least two sessions a week; that would constitute almost two hours a week. Alas, that is often not possible! Where in the world do all these geniuses come from who can perform the incredible feat of curing seven to nine people in group therapy with so little time, namely, an hour and a half a week? Some of those therapists are my friends but they have never told me their secret! It’s like a barber chair which fits all buttocks. Since we are dealing with two distinct categories of psychodynamic group therapists, we are offered two distinct rationalizations for the paucity of time accorded. First, the analytically-oriented group therapists contend that merely attending group meetings for 90 minutes a week, even without actively participating, is of significant therapeutic value to a patient. Is it? And will 90 minutes a week of such attendance perform the miracle the poor patient is waiting for and—forgive us—paying for? Second, the group processors contend that one can treat the group as a whole rather than arduously address the problems of the individual group members. In the preceding chapter Alexander Wolf cogently dissected the myth of such group process. We are not saying that group process and the postulation of a group mind (Grotjahn even commits the inanity of asserting that a group unconscious exists) were created as a rationalization for insufficient treatment time. We do, however, categorically state that the concepts of group mind and group process were eagerly picked up, consciously or not, by many therapists because those concepts offered them, on a silver platter, (1) a facile treatment method and (2) the convenient rationalization that if one is merely dealing with the group as a whole, an hour-and-a-half a week is sufficient to take care of the whole caboodle. We have read innumerable treatises on the value of the work of group processors, both theoretical and clinical, most of them quite academic and intellectual, but, when stripped of the verbiage and pretentious conceptualization, each one could be reduced by an expert and clear-minded clinician to a heap of scrap. We shall return to that later in this chapter. We have been addressing the need for sufficient time for the psychotherapy patient since 1948, when one of us, de Schill, was appointed to join the ranks of the Foundation. In all our communications we stressed the importance of sufficient treatment time and of improved quality of treatment. Where are the results? Unfortunately, the clamor has been for shorter treatment sessions and shorter overall treatment time. The advocates of facile, virtually valueless treatment methods—clinicians who take superficial, generalizing positions—are increasingly capturing the attention of the insufficiently informed psychotherapists. The voices of such sages as Greenson, Stoller and Leites, who insist on depth and quality, are lost in the crowd. Too many psychotherapists, in spite of much sacrifice and effort, receive inadequate training and the system for selecting students for the profession of psychotherapist does not select the best candidates. We also looked at concrete proposals for dealing with those problems. Since group therapists need to master skills in addition to those required for competent individual therapy, the question of selection and training are here of even greater importance. Earlier, we described why, in our endeavor to develop an effective psychotherapy method that most patients could afford, we had become convinced that only group psychotherapy could provide an adequate basis. Once we made that decision, a major question remained: Which method of group therapy, or which combination of methods, would provide the necessary foundation? Even in those days, the number of approaches was surprising and the divergences were wide. None seemed particularly satisfying; many lacked clinical wisdom. It was not until a year later that a Viennese colleague and member of our Foundation, Joseph Wilder, called our attention to the efforts of Alexander Wolf. We found in Wolf’s work a base to build on: an intelligent, well-thought-out, comprehensive approach demonstrating outstanding clinical acumen. We used Wolf’s approach as the starting point for our goal, still very distant, of creating an effective, affordable and widely applicable treatment method. It was a goal that most people—and rightly so—considered impossible to achieve, and the task proved to be as easy as transforming a passenger car into a ferryboat. It took more than 40 years of trial and error, and innumerable changes and innovations in technique and clinical rationale, to arrive at the stage described in this chapter. To maintain the proper perspective, let us state once again the fundamental purpose of our endeavor: to increase the effectiveness of therapy and thereby reduce proportionately the total treatment cost to the patient. As the effectiveness of the procedure increases, the patient either will come for a shorter total treatment period or, if limited by his financial circumstances, he will be able to reduce his weekly expense by decreasing the number of sessions. The urgent need for affordable treatment was originally demonstrated by a follow-up study by the Foundation, started in 1954 and conducted over a period of nine years. The study showed that within a year’s time only about 1 per cent of applicants for low-cost treatment were able to find therapy of at least two individual sessions a week. (It must be pointed out that treatment by trainees in the numerous training institutes was not considered acceptable therapy.) Information available to the foundation does not indicate any improvement of the situation. Rather, it seems to have further deteriorated. Let us begin our description of the group method developed by the Foundation with a point of greatest importance—the treatment time accorded to groups. We have mentioned that practically all group therapy meetings—analytic, group process or whatever—are conducted once a week for an hour-and-a-half. With groups averaging eight people, we found it impossible to do even a fraction of the necessary work in such a limited time. We doubled the group time to three hours and requested that the group members spend equal time in the alternate session—that is, the one without the therapist’s being present. Much credit should be given to Alexander Wolf for instituting that innovation. We have heard many theoretical and highly scholarly arguments condemning the use of such sessions, arguments claiming, for example, that therapy takes place only when the therapist is present. While such academic sophistry may sound impressive on paper, its proper place is in the wastebasket. The outstanding value of the alternate session is confirmed by the clinical experience of many expert group therapists over more than four decades. Attendance at the alternate sessions is necessary for any person wanting to participate in the intensive extended groups. To proceed, we must briefly backtrack to the 1950s and 1960s. Perhaps only older psychotherapists remember how much hostility and derision group therapy encountered in those days. In many cases, group therapy was accepted by an ‘established’ analyst only when he wanted to get rid of a difficult patient. Frequently, either the analyst would state that the patient’s problem was not psychological but medical or, if he was of a ‘modern’ bent, he would advise the patient that group treatment was the indicated modality for his particular emotional problem. At any rate, the essentials of psychodynamic group therapy were ignored by most mental health professionals and virtually all the medical profession. There was a time when the American Psychiatric Association refused to publish the announcements and advertisements of group psychotherapy publications. Moreover, most patients felt antagonistic toward any suggestion to enter group treatment. Among their many arguments, the most potent and justifiable one was that they needed the fullest attention of the therapist and would under no circumstances allow their therapy to be diluted by sharing precious treatment time with a horde of other people. The reader can well imagine our predicament. Here we were trying to disseminate knowledge concerning a treatment approach that we were convinced would help a great number of people and, apparently, neither professionals nor patients wanted any part of it! 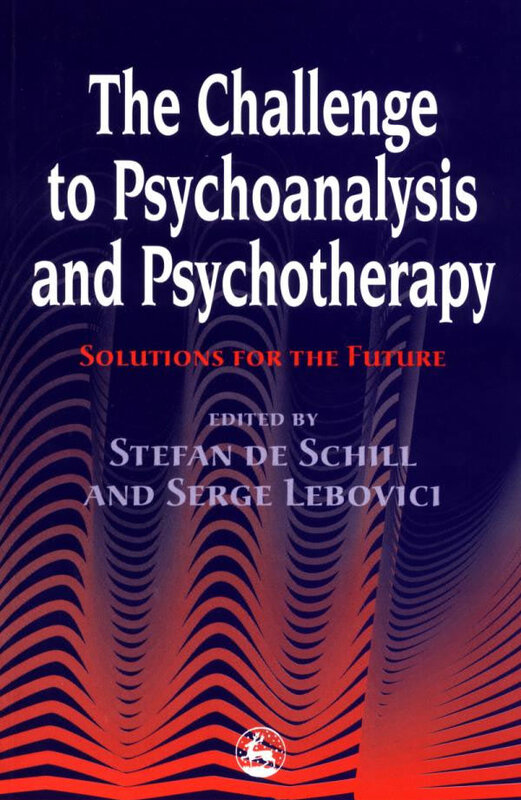 It was then that the Foundation decided to publish Introduction to Psychoanalytic Group Psychotherapy (de Schill 1954), intended to offer professionals and patients detailed information regarding the treatment method. In view of the distrust and antagonism of professionals and patients toward group therapy, we anticipated that the publication would find a limited readership. We could not have been more wrong. The first edition was published jointly by the Foundation and Robert Brunner, Inc., at the time the largest distributor of mental health publications in the United States. It was sold out within a few months. Between then and 1971, six editions were published. Even though the demand for the text continued unabated, in 1972 the Foundation decided to temporarily stop its publication until two major problems could be overcome. The problems were called to our attention by patients to whom the publication had been distributed by clinics and psychotherapists. As we have explained, the Foundation stressed in all its communications the need for sufficient treatment time in group psychotherapy and for proper attention to individual group members. The complaints we increasingly received, however, lamented the fact that the techniques described in Introduction to Psychoanalytic Group Therapy were, owing to the brevity of the time offered, in actuality only sparingly used or, in the case of therapists who were ‘group processors’ not used at all. At the same time, we wanted to continue to inform the profession and the public of the benefits of the intensive, extended group therapy form the Foundation had developed. Eventually, we decided to include the necessary information, as far as feasible, in all our publications while warning against the pitfalls mentioned. Even now, after almost half a century of group therapy, it is astonishing how many professionals and physicians are unfamiliar with what we consider the most valid form of the treatment modality. While the following pages are addressed basically to psychotherapists, and, perhaps, to prospective group members, they should also be instructive to a wider audience. a patient for the regular current group fee (it may be desirable to keep such an arrangement private). With the extra time offered, the therapist can add one more patient to the group, allowing for an average of nine members. Since one or another patient may not show up for any given group session, the extra patient will not prove to be a burden. The greatest advantage is that the turnover in extended groups, owing to far greater patient satisfaction and loyalty to the group, is much smaller than in regular groups. That alone is of outstanding financial importance to the average psychotherapist, who does not have access to an unlimited pool of patients. The satisfaction of the group members results in a greater number of referrals to the competent therapist. A conscientious therapist spends time outside the group thinking about the problems and the dynamics of his patients. It takes far less time to have to think about nine patients than it does to think about two times eight. When third-party payers refuse to pay for this treatment modality and will pay only for a lesser, limited treatment form, the therapist can explain to the patient that it would be to his advantage to pay the relatively modest fee from his own pocket. The patient gets a good buy and the therapist is relieved of considerable paperwork and the intrusive interference of third parties. As extended groups are considerably more effective, patients who could not otherwise have been placed into group therapy can now be included. That permits the therapist to draw from a wider circle of patients, including the ever-increasing numbers of the elderly. The extended groups are far more interesting and challenging than the usual short groups, which are necessarily more superficial. Most of all, the therapist has the satisfaction of being able to gain a far greater understanding of his patients and to see real progress in his patients while avoiding much frustration, self-doubt and uncertainty. Are there no drawbacks when proposing this procedure to prospective patients? Yes, there is one. Some people will be hesitant, or unable, to give six hours a week to therapy. But if they cannot afford two private sessions a week, what alternative is left for them? After all, this is the only intensive treatment form available at moderate cost.